The Dark Ranger: Dany Heatley To The Kings? This was sent to us last night from a Toronto source --- this by no way is the guess-work or insider-work of THE DARK RANGER or anyone affiliated. What do you think? I am going out on a limb and declaring the Los Angeles Kings the winner of the Dany Heatley sweepstakes. The Kings has the cap room and more than enough young talent to satisfy the Ottawa Senators. Danny Heatley – a top player in the NHL who brings baggage but scores 40-50 every year. # Erik Karlson (1’st rounder 15th overall 2008) and Thomas Hickey (acquired through the LA deal) have an outside chance of making the team out of training camp. Along with Jared Cowen (9th overall 2009 draft) the Senators are deep on defense paving the way for their future. Look for Brian Lee (1’st rounder 2005 – 9th overall ) to make a huge step forward this season. Nick Foligno and his 17 goals last season is a sure bet to hit 20-25 goals playing on the second line with more ice time and better offensive players. Frolov will score 35 goals and help make fans slowly forget Heatley. Sykora adds playoffs experience, secondary goal scoring, winning attitude and multiple Stanley cup rings. He is good for 10-15 goals this season. This team makes the playoffs and could be a dark horse in the East. # The Kings are a team that is young, fast and talented. They are ready to take the next step and join the upper echelon in the NHL. The emergence of Jonathan Bernier between the pipes is vital for the future of this franchise. Taken in the first rounds 11th overall in 2006 he must take the next steps. Brayden Schenn 5th overall this year could play next season on the third line and is captain material in the NHL. Heatley, Kopitar, Brown, Smyth, Doughty, Johnson and Bernier clearly establish the Kings as perhaps the best team this season out of California! Welcome back to the playoffs Los Angeles. Sounds good - Who's your sources? It's possible. Brian Murray is playing both ends to the middle: he's not playing his star forward as if he were worth $7 mill+ per season, while at the same time is trying to leverage a trade that is worth a 25 minutes+, $7 million dollar star. And Dany is a baby about it. So I think a trade as involved as this is possible, but unlikely because the manager and player are not in agreement, a crossroads. My HB instinct tells me your source is not accurate and no one knows anything about what really is happening in Heatley's head. Kings assistant GM Ron Hextall wasn't shy about saying why they didn't want him. "Look at this player's past," said Hextall. "I'm going to spell it out as nicely as I can. He was in Atlanta, had an unfortunate (automobile) accident there and asked to be traded. OK, given the circumstances -- there was a young man killed -- I can live with that. "He goes to Ottawa. He's on a pretty good team. They go to the finals. He signs a big contract. Bang. All of a sudden now he's got to be traded again. 'Not only do I have to be traded, I have a no-trade clause. I want to pick where I'm going to go.' Well, there are some issues there. "He had his problems with his coach in Atlanta. My understanding is that he had problems with Craig Hartsburg at the start of last year in Ottawa. And he had problems with Cory Clouston. "Three coaches he's had a problem with. That raises huge red flags for us." There can't possibly be a happily ever after with Dany Heatley here. The debacle, also known as Dany Heatley, has put a bad taste in our collective mouths. GMs, players, fans. The person responsible for this mess has to be Dany's agent and how this was all handled. If the agent was unaware of Dany's intentions, then he should be fired for not knowing his client and his employer. ENOUGH OF ALL THIS HEATLY CRAP....HE IS A LOSER...ALL OF HIS SENATORS COLLEAGUES THINK HE IS A LOSER, A SELF-INTERESTED NARCISSIST WHO ISN'T THINKING ANYTHING ABOUT 'THE GOOD OF THE TEAM'. 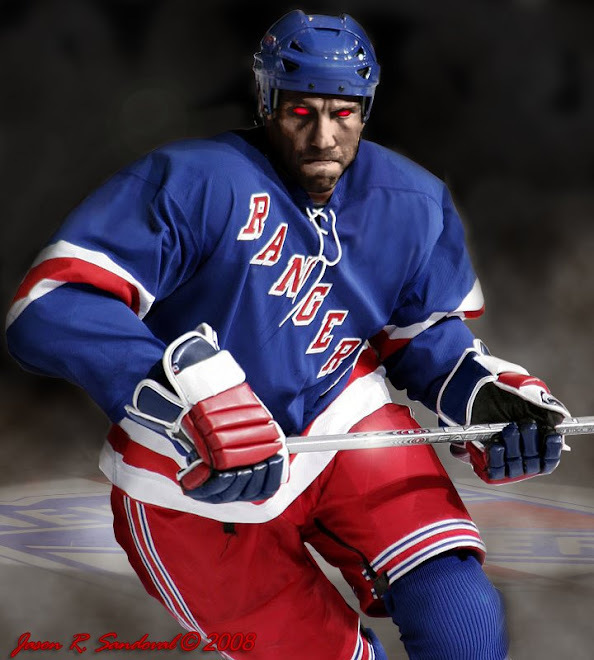 HE IS AN ABOMINATION FOR HOCKEY. It makes sense from a value/cap perspective - I saw this posted on HF Boards. I want this frecus to be over w/ already. Had the Kings simply denied interest in Heatley, this might be believable - after all, teams fib about their intentions all the time. They did more than that, though - Ron Hextall, in speaking to the team's season ticket holders, publicly accused Heatley of being a malcontent and a coach killer. That's burning the bridge in pretty epic style. Heck, even the Senators have never said that about him. If LA was going to make a big splash like this, they would have done it two months ago. That's a good point, anonymous. The Hextall comments were 'deal-breaker' material, no question. Has everyone seen Spezza publicly supporting Heatley's non-decision? So much for the good-of-the-game!!? anything on this today DR? Can't see Ottawa taking Frolov, given that he is UFA in 2010. Even with the conditional pick, you would be trading a proven 50 goal scorer for three prospects... sounds like a baseball trade. 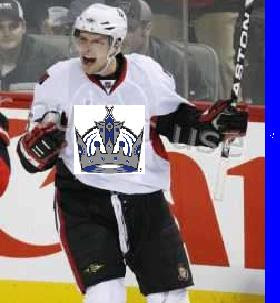 I would accept the trade if I was the kings or sens! But Brian Murry is TOOO stupid to add somebody like Frolov or Hickey. You are all HIGH AS A KITE if you think this will ever go down HIGH HIGH HIGH!!!! Honestly, there is no way THIS trade is going to happen. Lombardi is 100% behind his young prospects and would never trade Hickey (or Dustin Brown.) I really do hope that the Kings get Heatley though. Yes he has team issues, but he's a proven 50 goal scorer.